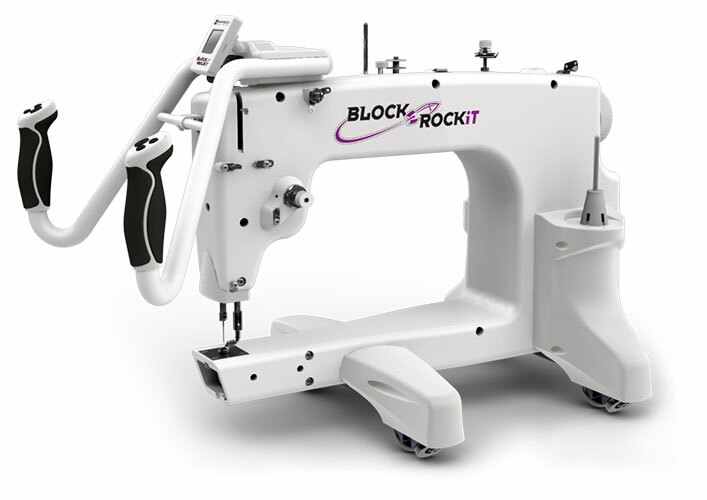 Customize your Block RockiT and Grace Frame today for the most affordable quilting experience money can buy! 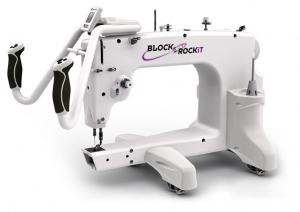 The Block RockiT is a mid arm quilter that has stitch regulation that rivals any you can find. With different modes and options you will be able quilt comfortably and beautifully at the touch of a button. Call 1-888-826-0222 or send us an email at info@kathyquilts.com. Easy to use and understand. If problems just call them and they will help you out in a heart beat. 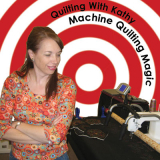 Kathy does not put out enough videos for learning quilting skills, Please do more videos on you tube. I was one of the first BR owners three years ago this month, having purchased at the Lancaster Quilt show in March of 2014! It was the best investment I have made in regards to my quilting. I visit Lynn and Kathy every year at Lancaster. I had a problem, which was only once, and Lynn sent me to Grace Co. right away. They were wonderful in solving my problem. I have done 15" blocks for a customer and they turned out beautiful. I did them half at a time. The Grace frame has been perfect for me as I am short. I also float quilts instead of rolling on the backing some of the time. I don't even need to use the long clamps on the front rail most of the time. I've done 19 quilts in the last year on my BR. Each time I change the bobbin I only oil the hook race, I will also oil the machine when it starts getting noisier. I can do anything on this frame that I want. I have done 15" blocks for a customer and they turned out beautiful. I did them half at a time. I don't need a big expensive quilter to have my quilts turn out beautifully. I can't think of any disadvantages to owning the Block RockiT. While I thought maybe a deeper machine would be good, a post on the Block RockiT Yahoo Group made me realize I have short arms so a 21" throat might be a stretch for me. I loved the Block RockiT so much I bought two. I have a sit down table and one on a frame. I have not had any major problems at all. I am still learning how to quilt on the frame version but the sit down is just like a regular sewing machine with more throat room. Only time I have had tension issues is when I attempted to use two different threads. It didn't like that. Changed to the same thread in top and bobbin and I was sailing along. 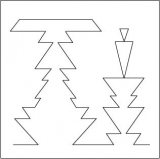 The few issues I have had were taken care of by the stellar customer service at Kathy Quilts. Most issues were me not understanding or me doing it wrong. Jamieson is very patient and will keep explaining what is needed to make you happy. Both machines are easy to handle. I do wish it was easier to get the bobbin in but that is my complaint with my regular sewing machine! I can't wait to retire so I can quilt more often. The 15" throat will allow me to quilt just about any quilt that I do. I don't do 12" - 14" quilt blocks on point but I am betting I could quilt those as well. It would just require more planning. The stitches are smooth and I haven't had an issue with bobbin thread nesting or skipping. The only disadvantage is the instruction booklet. Sometimes it is not clear.  This is how I got to meet Jamieson by phone! I think it assumes knowledge that quilters may not have. It might make sense if you know the machine but when you first get it be sure to take the time to really understand what the instructions say. Then it will be smooth sailing. Set up my Block Rockit yesterday. I am in love. Still playing with tension but certainly not the nightmare people have made it out to be. Looking pretty good already! Looking forward to many years of use with my new toy. Can be used on my Grace SR2 frame, which is the biggest frame I have room for. Great amount of quilting area for a mid arm machine. Seems very well made. 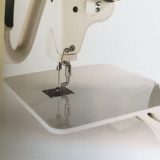 trustworthy responsive customer service!, easy to use software, ability to change buttons for right or left handed quilters, wonderful stitch regulator, separate bobbin winder motor, easy access when changing bobbin, clear and simple directions in the owners manual, beautiful stitch with thread I like, outstanding machine especially at this price! Compared to my Juki 98Q, I miss the tool holder on the carriage handles and my thread cutter, but the big longarm machines don't have these either, so...no disadvantages.